We would like to thank the more than 900 generous Friends of WILL for helping us raise more than $87,000 during our Nerdy Fall Fund Drive. Also, we saw big increase in new members during this campaign, so a special shout out to all of our new Friends! A movement is afoot for individuals to embrace their inner nerd for public media. And to "nerd out" for something is to simply share your passion with the world, and to do so proudly! 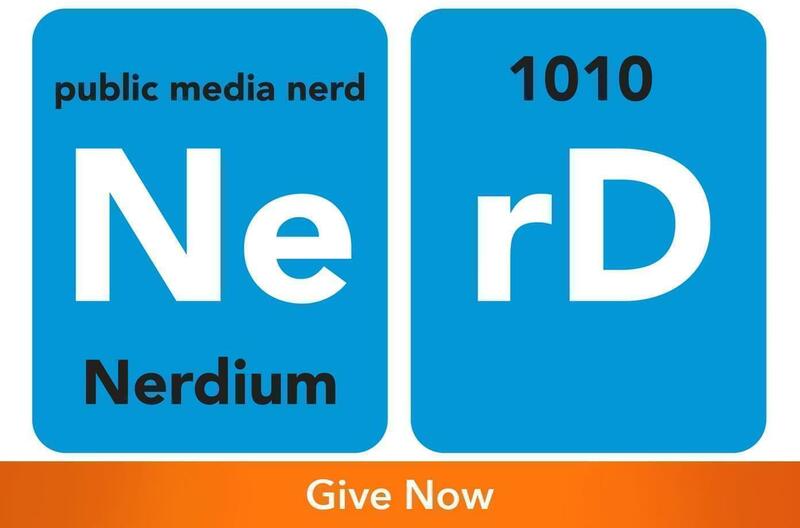 Help Illinois Public Media continue to bring you high-quality news, unparalleled arts programming, great classical music, essential early childhood educational tools and programming—with less on-air fundraising—by embracing your inner #WILLNerd by Oct. 10. So... what WILL thing do you nerd out for? Do you geek out for Masterpiece? Do you know all of WILL and NPR hosts’ names and voices by heart? Did you grow up on Sesame Street and in Mr. Rogers’ Neighborhood? Is every morning a Classic Morning? This month, we invite to declare yourself a nerd for WILL, and join forces with 1,010 fellow WILL Nerds with a gift in support of your passions before Oct. 10, 2017. As with many recent campaigns, our goal with this fund drive is less on-air interruptions and more focus on how important YOU are to our success as a station. Click here to enter the WILL Nerd contest without making a gift. What better way to showcase your nerdium than with some super snazzy #WILLNerd swag? The easiest way to do this is by becoming a sustaining member of WILL or by increasing your current sustaining gift. Any Friend of WILL who gives $6 or more per month will qualify to receive these exclusive WILL Nerd-themed socks! Provided by Sock Club, these comfy blue and orange socks highlight all the best aspects of being a #WILLNerd. Have you heard? We are hosting a public media trivia night at Pizza-M on Tuesday, Sept 26 at 6:30 pm. You can test your knowledge of all things local and national public media with questions about your favorite PBS, NPR, and WILL programs and personalities. You can even win special public media-themes prizes. Join us for this free, family-friendly night of fun, and let those #WILLNerd flags fly! Pizza and drinks will be available for purchase. Click here to see our Public Media Trivia with WILL Facebook event for full details. See you there! We also encourage you to share why you are a nerd for WILL on social media using #WILLNerd, inspiring your friends and family to share in your passion public media. Help Illinois Public Media continue to bring you high-quality news, unparalleled arts programming, great classical music, essential early childhood educational tools and programming—with less on-air fundraising—by embracing your inner #WILLNerd by Oct. 10. Link in bio. Calling all #WILLNerds, mark your calendars for Sept 26 and join us for a fun night of public-media themed trivia at @pizza__m. (Free & family friendly). See you all there! A movement is aFOOT for individuals to embrace their inner nerd for public media, and what better way to showcase your inner WILL nerdium than with these super snazzy socks!? 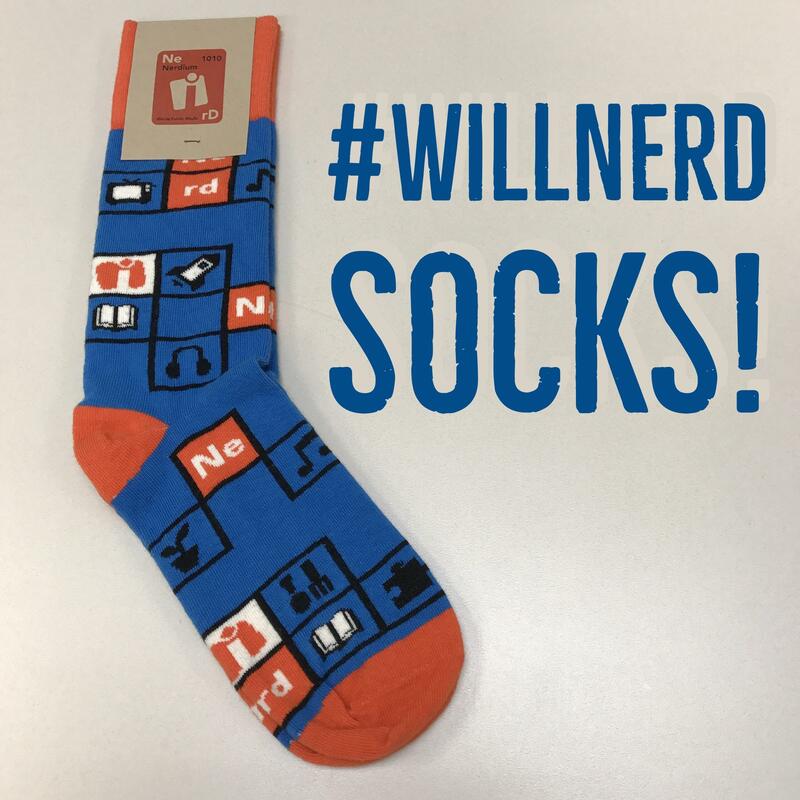 Calling all #WILLNerds, rock these socks! Link in bio.